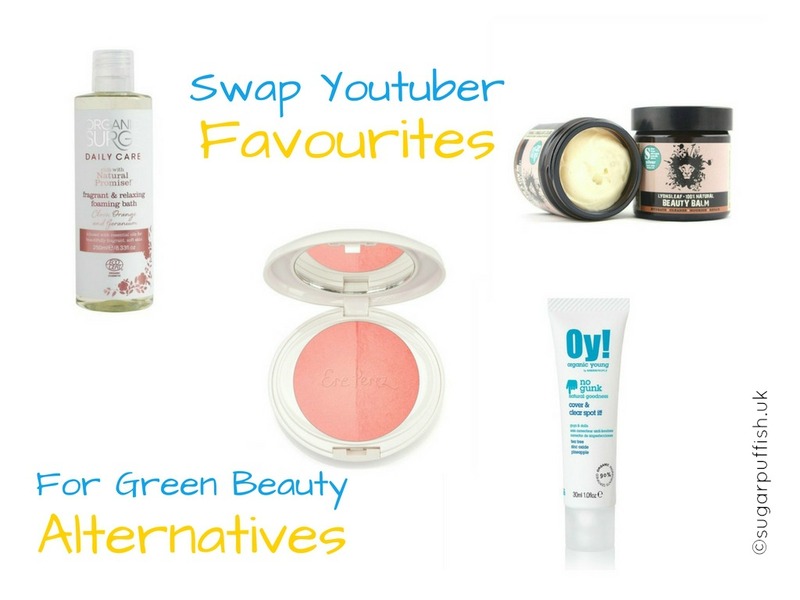 I'm continuing with my series to bring you some more Youtuber Favourite Swaps. The concept behind these is I’m looking at “mainstream” product recommendations and finding “Green” alternatives. I want to show you that it is possible to buy products which are similar to the high street options but better for you and the environment. Tula Exfoliating Treatment Mask - this product is free from a few key ingredients which green beauties like to avoid but contains Disodium EDTA and Tetrasodium EDTA. Also it is not suitable for Vegans (milk protein & lactose). Let’s swap for the Evolve Radiant Glow Mask which smells amazing from raw cacao, you leave on for 5 minutes and then it exfoliates when you remove from your skin. Becca Mineral Blush – a few natural brands offer pressed powdered products but when it comes to blush I prefer to recommend those without carmine so I’d suggest Ere Perez Pure Rice Powder Blush** which comes is 3 colour ways. Clinique Take The Day Off Cleansing Balm – the natural skincare world is full of wonderful cleansing balms, this has to be the easiest product to swap, there really is no need to use products that test on animals and contain petrochemicals. Try Lyonsleaf Beauty Balm, The Rose Tree Carrot & Mango Cleansing Balm or Gaia Creams Coconut Mousse. Clarins Daily Energizer Daily Energising Beauty Balm - from what I can tell looks like a sheer pink tinted lip balm. Let us swap to affordable and cruelty free alternatives such as Everyday Minerals Tinted Lip Balms (iherb), Pacifica Colour Quench Lip Tint, Yes To Carrots Peachy Keen Balm or Hurraw Tinted Cinnamon lip balm (Lucy Rose**). Sainsbury's White Creme Bath Family – this is cheap and cruelty free but little else going for it as far as I'm concerned. You may still need to compromise on some ingredients with natural foaming products but how about going organic as well, try Organic Surge Clove, Orange & Geranium Foaming Bath. Guerlain Stop Spot Anti-Blemish Treatment – for this one I’m going to suggest OY! Cover & Clear Spot It which not only has great ingredients but double the quantity and half the price! Love this type of post! Goes to show how far natural skincare/makeup has come to be able to stand up against mainstream brands!